Stoic Week 2015 Day 5. Relationships. 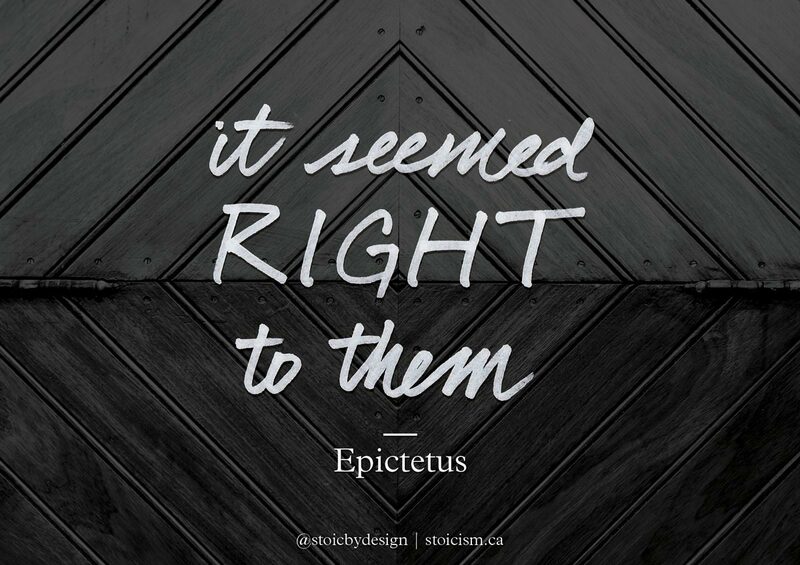 Another nugget from Epictetus; succinctly stating that others act based on their perception of what is right and wrong, and that may differ from ours. This is a nice maxim to consider when you feel annoyed, irritated or angry at others for something they’ve done. We should remind ourselves that when we are “wronged” that is based on what we value to be right or wrong. If an aggressive driver doesn’t value the rules of the road, they’ve done nothing wrong, in their opinion, when they cut you off so they can breeze through an amber light.